Home » »Unlabelled » She’s On Flight, Suddenly Plane Turns Around & Attendant Asks Her To Get Off. The Reason? WOW! 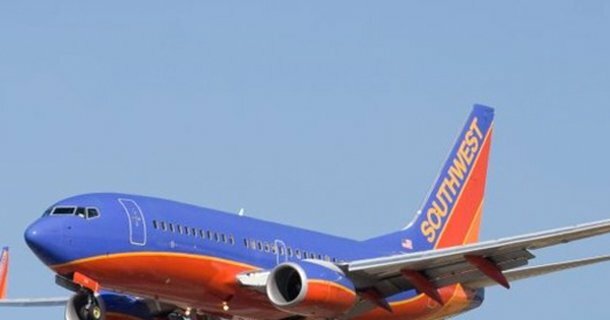 While finding out a passenger’s son was in a coma, Southwest Airlines did a pretty amazing thing. Peggy Uhle who was ready to take-off out of Chicago, Illinois, heading to Columbus Ohio. But rather than take off, the plane suddenly turned around. It was now heading all the way back to the gate. Arriving back at the gate, a flight attendant asked Peggy to exit the aircraft. Turns out her son, who lives in Denver, Colorado, had suffered a head injury and was in a coma. Southwest had taken care of the situation as quickly as possible, turning the plane right around and allowing the woman to receive the news directly from her husband. No additional fees were charged, no service charges, just prompt and compassionate action by the airline. They tried to make things as easy as possible for the mother. It really is pretty amazing, not to mention spontaneous, service provided by Southwest. Peggy was naturally relieved and extremely pleased how they handled her predicament. What an amazing airline for doing what they did, so quickly, efficiently, and without fees and red tape to deal with, during this very traumatic experience that Peggy went through.